Gemstones are a great way to mark a milestone during marriage. Whether you're after new jewellery design ideas to add to your collection or you're on the hunt for the most perfect handmade anniversary gift, this will give you some lovely ideas on how to get started. There are many traditional gifts, however on this particular post we're focusing on anniversary gemstones. Celebrating a milestone in any relationship is something really special and what better way to show your love through a meaningful gemstone to symbolise the love between two people. We usually think of the silver or gold anniversary, but each anniversary has its own special gemstone or metal attached to it. Take a look below at the gemstones associated with a particular anniversary below, along with some handy tutorials to try too! Thinking of making a special piece of anniversary jewellery? If you need any advice or guidance on choosing a gemstone or creating something special, contact our friendly team - we’d love to hear from you! Gold metal is traditionally used for the first wedding anniversary but that doesn't mean you have to use metal! Golden gemstones could also be used such as citrine, amber and topaz to create something special. Or why not incorporate gold beads and charms into a piece of jewellery? There are so many possibilities! Garnet is also January's birthstone and extremely popular within jewellery design. Garnet is mainly a deep dark red colour, but the gemstone can also be found in a variety of colours such as Tsavorite garnet which is a gorgeous green and Rhodolite garnet, a pretty pinky plum colour. Try our jewellery making earring tutorial, using Kernowcraft's anthill garnets. These rough gemstones have a fascinating story behind them - as Arizonian ants remove these gems when repairing and building their ant hills! 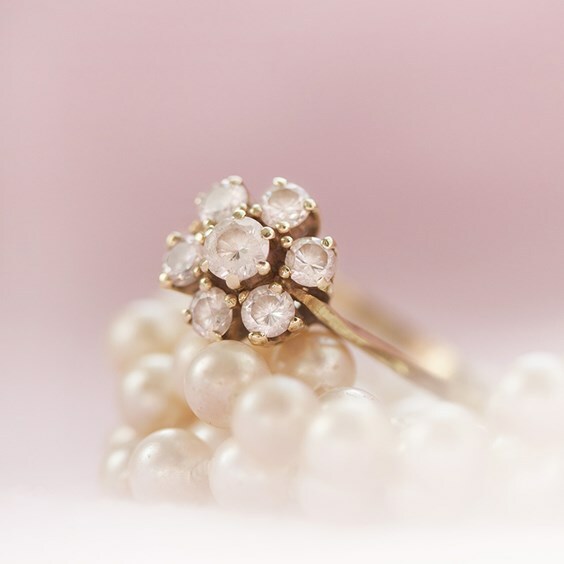 Pearls are such a classic and elegant gemstone. They come in a whole range of shapes and sizes so you can create something that fits your style. Natural pearls are rare, however there are many cultured pearls available which come in a different varieties, colours and are affordable too - making them a great anniversary gift. Read our information page on how cultured pearls are formed. Follow our jewellery making tutorial to create a simple pair of cultured freshwater pearl earstuds. 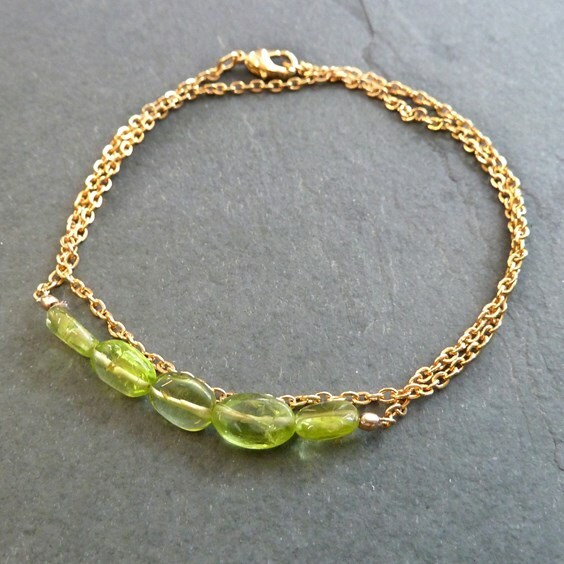 Peridot is the alternative 1st anniversary gemstone, so why not combine gold and peridot to create something special such as this bracelet? Follow our simple tutorial below, along with a handy one click shopping list! These topaz faceted stones are so popular! Browse our range of faceted stone settings and create an easy piece of jewellery such as a pair of earrings or ring. We absolutely love blue topaz here at Kernowcraft, it has such a beautiful intense blue colour and would look lovely as earrings or a simple pendant. The stone is said to aid communication, prosperity and also banish any negativity - great for any relationship. Topaz is also November's birthstone and comes in a variety of colours such as pink, orange and yellow. 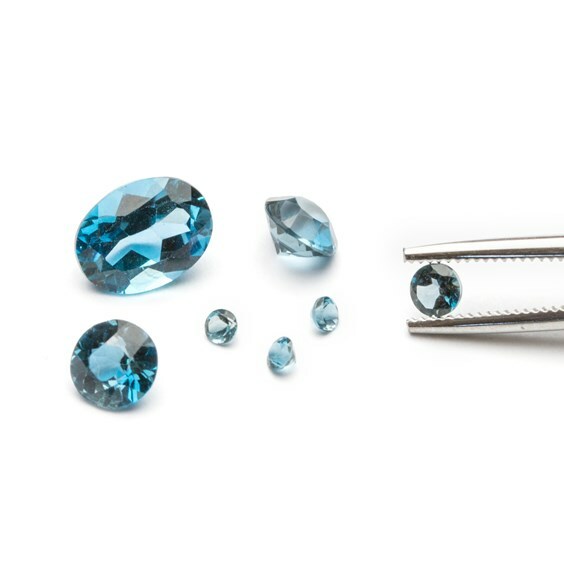 Take a look at our limited edition topaz stones to really give the wow factor! Check out the alternative anniversary stone, blue zircon! This valuable, precious and durable gemstone could symbolise the strength within a relationship - it is also said to bring joy, peace and fulfil dreams! Usually a blue gemstone, it can be found in every colour except red, a great choice for any piece of jewellery due to it's durability. Try our silver 'sapphire' necklace tutorial using cubic zirconia stones - a great choice if you're on a budget. This romantic gemstone is thought to of been worn by Saint Valentine, set with an amethyst carved with the image of Cupid. It is said to relieve physical, emotional, and psychological stress. Try our amethyst briolette drop earrings tutorial to create something special. Onyx is a popular, durable stone and is often used within men's jewellery - making it a great choice for an anniversary gift. We just love how beautiful and bold this gemstone is, a truly eye catching stone great for all kinds of jewellery. We also have a beautiful selection of green onyx. This is a beautiful gemstone, which comes in a vast array of colours and is often known as the 'gemstone of the rainbow'. Lapis luzuli is such a stunning stone made up of the royal blue mineral lazurite, white calcite and gold specks of pyrite. The gemstone is said to aid truth and communication - a great thing to have after 9 years of marriage! What an incredible milestone! 10 years of marriage means diamond - one of the most sought after gemstones due to it's lustre and hardness. A perfect chance to add a diamond ring to go alongside a wedding band. 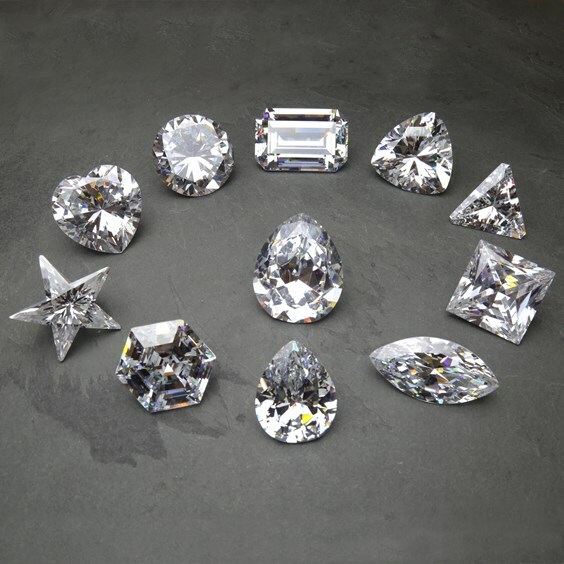 Diamonds are said to bring balance, clarity and abundance. We love turquoise's unique colour, it's an ancient gemstone and was first brought to Europe from Turkey. It is known as the master healer stone and is very popular among modern jewellery designs. Check out our selection of natural untreated turquoise - did you know that less than 3% of the turquoise available on the market is totally natural? Try our jewellery making tutorial and make a beautiful diamond bracelet or necklace for 10 years of marriage. We've used our genuine stunning black diamond faceted rondelle beads in this look. If you're searching for a gift idea, why not commission a piece of jewellery using a limited edition stone? The most valued jade gemstone is an emerald green colour, the stone is said to attract love, which is a perfect gemstone to use when thinking of an anniversary gift. Follow our tutorial and make a pair of Jade knot earrings! Natural citrine is rare and most gemstones you find will be heat treated amethysts or smoky quartz. Citrine has a beautiful yellow colour and is said to be great for energising. 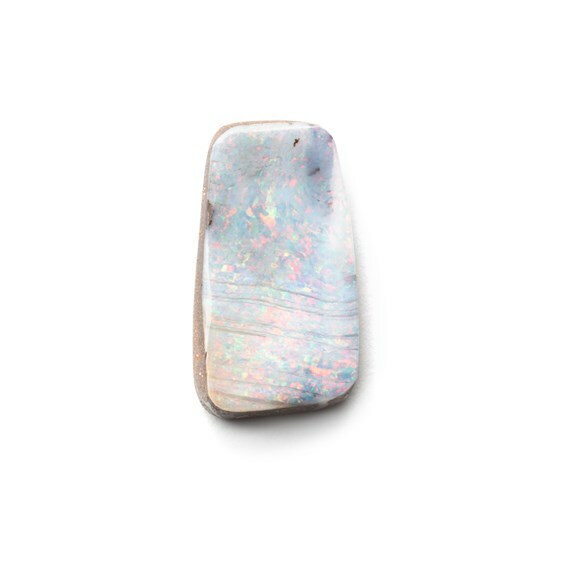 Opal is such a magnificent gemstone, with it's amazing play of colours and flashes. Here at Kernowcraft, we have a huge selection available including limited edition unique Australian boulder opals. If you're looking for a gift, why not commission a piece of jewellery using a unique stone? It will be the only one of its kind. Ruby is a beautiful gemstone, representing love and passion. Recognised by their bright red colour and lustre, it's one gemstone you can't ignore. Rubies are usually a darker brownish hue and are often heat treated to bring out the red even more. This ancient gemstone dates back to Egyptian times and is well known for its bright grassy green colour. Peridot is said to represent compassion and brings harmony to relationships - making it a great gift choice for a loved one. Try out our jewellery making project to make peridot leaf hoop earrings. Watches are traditionally given on 17th wedding anniversaries, a thoughtful gift to give a loved one. There is no particular gemstone associated with this anniversary. A cat's eye gemstone is really interesting! It can be found in various gemstones, resembling the slit eye of a cat making it a really beautiful and intriguing gemstone to use in your jewellery designs. This blue variety of beryl is extremely popular in jewellery making. Aquamarine is it said to symbolise peace and love, making it a lovely gift idea for an anniversary. This eye catching gemstone is one of the most expensive gemstones due to it's unique colour and rarity. Rich greens are more sought after and is said to represent protection - a lovely hidden message to go alongside the piece of jewellery. 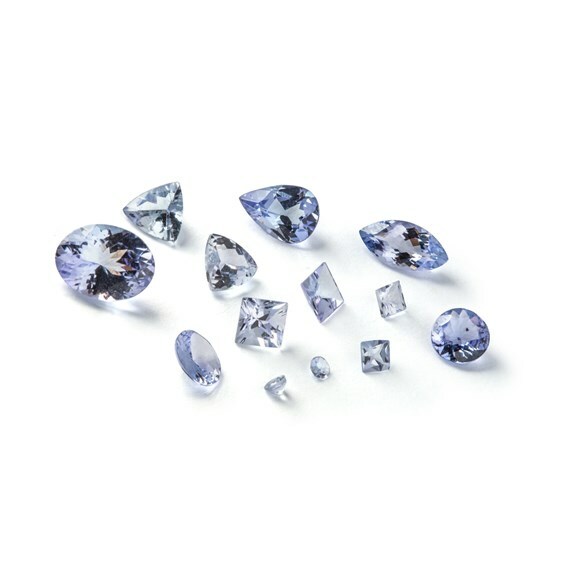 We love iolite's purple hues, it has many similarities to the sapphire gemstone and is known as 'the water sapphire'. 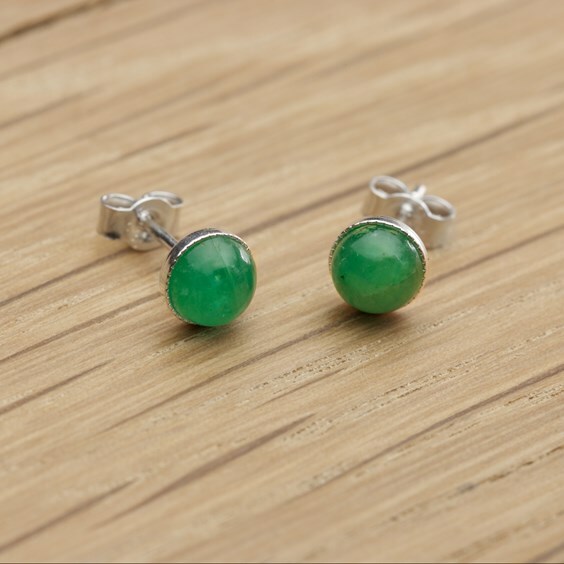 We just love these simple emerald stud earrings! It's so easy and perfect for beginners, or for someone wanting to make a special handmade gift for a loved one. The spinel gemstone comes in a whole array of colours including reds, pinks, purples and blues. The ruby spinel has a deep red and is the most valued spinel gemstone, a great alternative to ruby. Here at Kernowcraft, we have a selection of beautiful black spinel to use in your jewellery designs. Imperial topaz is the most sought after natural topaz, it's a rare gemstone and has more value than others. At Kernowcraft, we have beautiful honey coloured Brazilian imperial topaz crystals that are untreated and totally natural - try wire wrappings them and create a piece of jewellery like no other. Tanzanite is a popular violet gemstone, discovered by Masai tribesman in Northern Tanzania. It's said to be the stone of magic - so make something special and keep the magic alive with Tanzanite! Use sterling silver and create something elegant for a piece of anniversary jewellery. 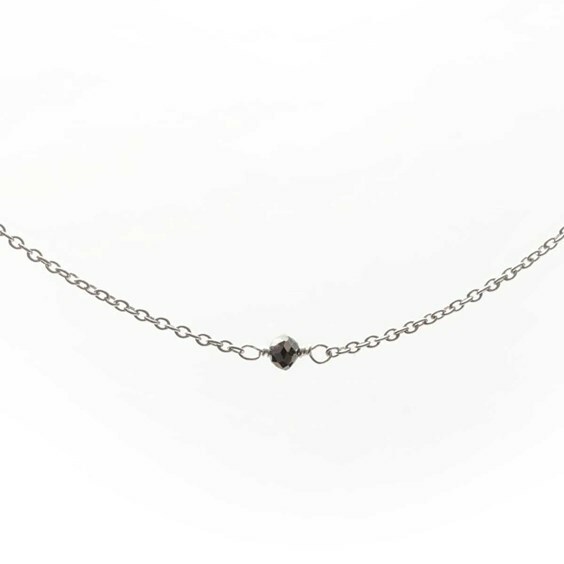 Perhaps use a silver chain and incorporate a birthstone into the design by using a setting? Pearl is also used to celebrate 3rd anniversaries along with the 30th milestone. Discover a range of pearl jewellery making tutorial over on our Make The Look page. Emerald is also the gemstone of 20 years too, a popular gemstone but also expensive due to its rarity. Also the gemstone of 15 years, ruby is a beautiful red coloured stone that is extremely popular among jewellers. Sapphire is also the gemstone of 5 years, if you went for the classic blue sapphire why not go for a different variation such as pink sapphire?! 50 years, wow! The possibilities are endless, perhaps a gold watch for him or gold cuff? Gold earrings or a simple necklace would also work a charm. Alexandrite is a rare and valuable gemstone and is known as the colour changing gemstone, sometimes appearing as a dark yellow green and other times a pink. 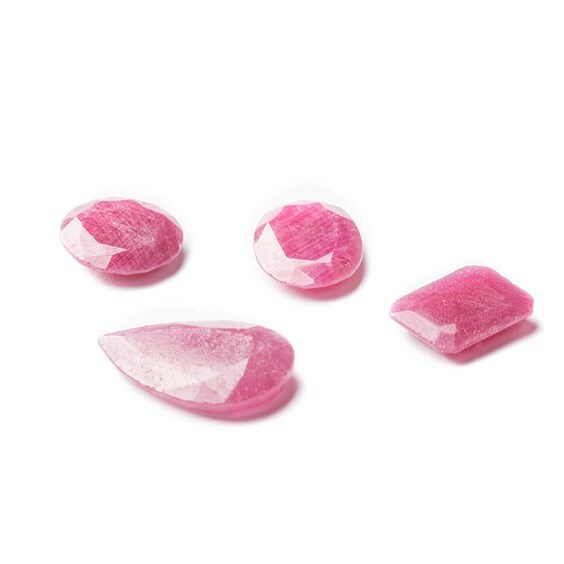 This could be a great gemstone to use in jewellery making to add some fun into the design. Cubic zirconia is the finest diamond simulation you can buy! Add sparkle to any gemstone lover's life with one of these beautiful stones. Diamond is also the 10th anniversary gemstone but why not celebrate with it again 50 years later? It's the perfect excuse to add some sparkle! Platinum is a rare and precious metal, this time you could go for a ring or bangle to mark the celebration? Sapphire appears once again on this amazing milestone! A beautiful stone for a beautiful couple - why not mix it up with different coloured sapphires in one special piece of jewellery? Finally ruby, shine bright with the stunning lustre and deep red that this gemstone brings.